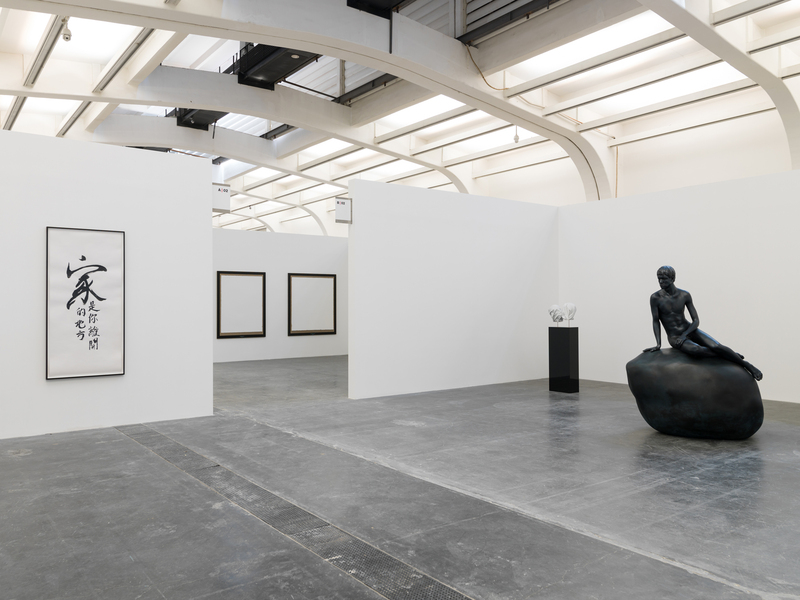 Elmgreen & Dragset’s The Well Fair transforms UCCA’s Great Hall into a fictional art fair showing more than eighty works created by the artist duo over the past twenty years. 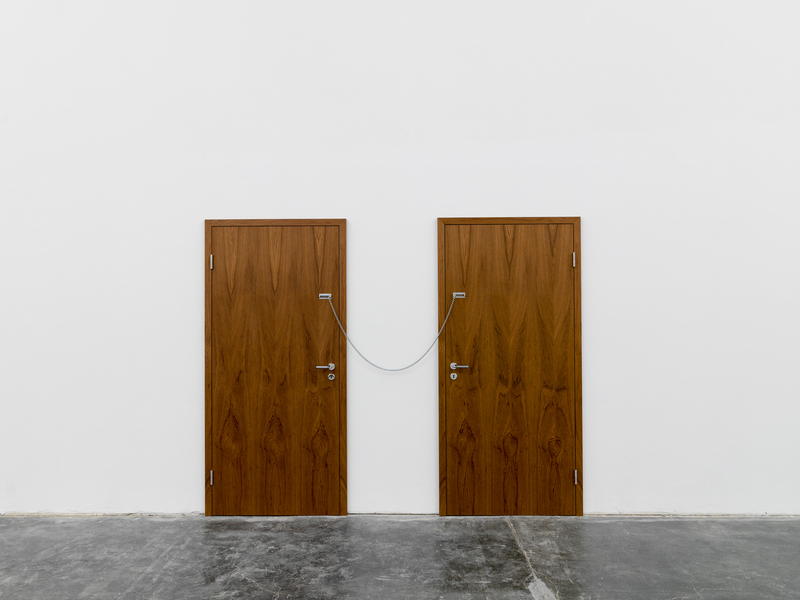 UCCA is proud to present Elmgreen & Dragset’s The Well Fair, a solo show that marks the artist duo’s first exhibition in mainland China. 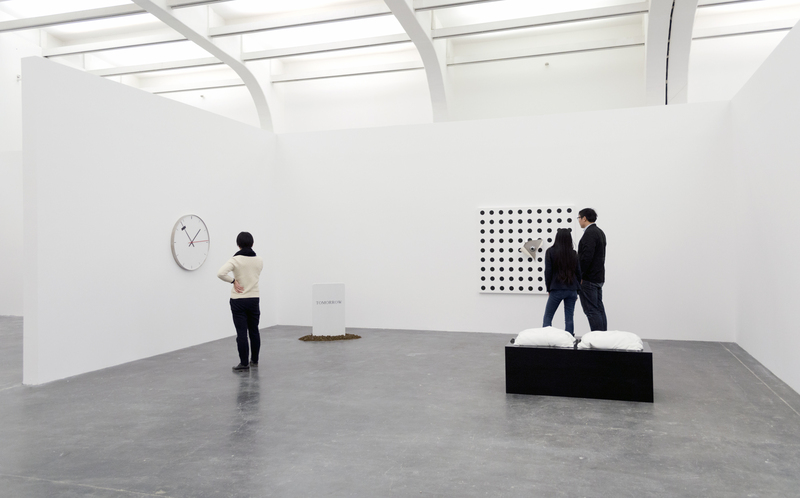 Running from 24 January to 17 April, 2016, the exhibition turns UCCA’s Great Hall into a fictional art fair by dividing the museum’s signature space into multiple rows of rectangular booths. These temporary, repetitive wall structures, arranged in a fishbone grid in the middle of the room, mimic the generic architecture of commercial art fairs worldwide. 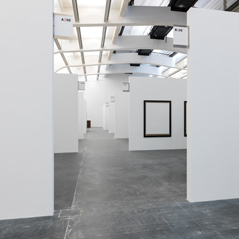 A selection of over eighty Elmgreen & Dragset works created over the past two decades is displayed in the booths and communal areas of the fair in unorthodox ways—some of them still crated, wrapped, half-installed, or leaned against the walls—creating an ambiguous temporal setting that makes it unclear if the fair has just ended or has not yet begun. 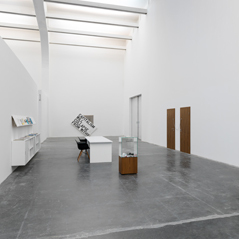 This broad presentation, drawn from collections in Europe, Asia, and North America, provides a unique opportunity to view Elmgreen & Dragset’s works arranged in new constellations, bridging topics and making evident recurring themes from throughout the artists’ oeuvre: from the examination of institutional architecture, sociocultural topics and art history, to existential subject matters linked to identity and sexuality. 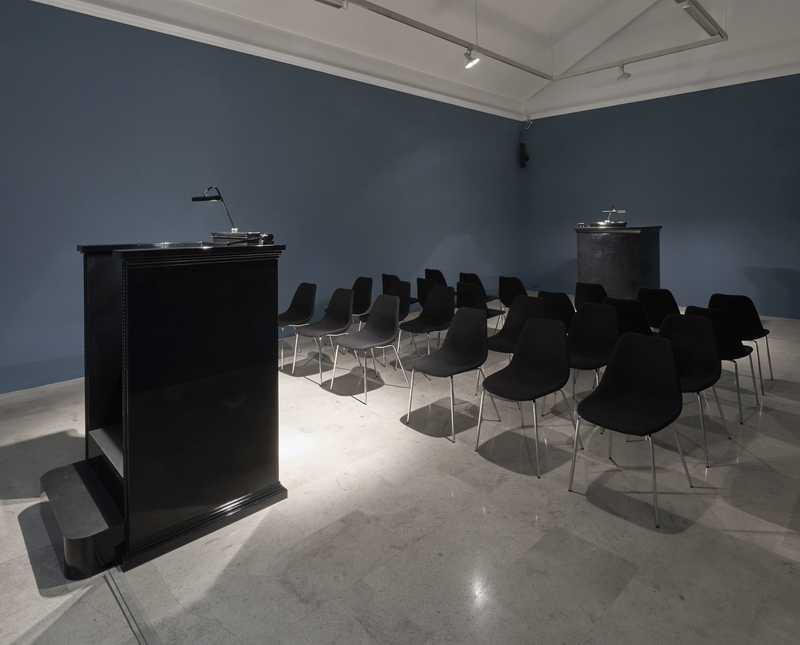 By staging an art fair within a museum, the artists question the social mechanisms of art institutions from within, as they did in previous exhibitions such as Zwischen anderen Ereignissen [Between Other Events], a performance first enacted in 2000 at the Galerie für Zeitgenössische Kunst, Leipzig, and now performed at UCCA in one of The Well Fair booths. 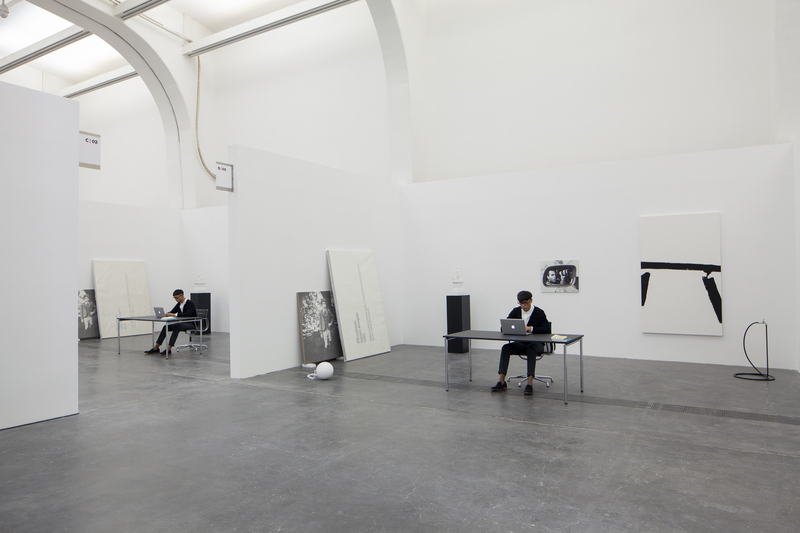 In this durational performance, two house painters paint the already white walls of an exhibition space—in this case, the walls of the booth—over and over again with ever more layers of white paint. The repetitive routine of painting soon becomes contemplative, changing what is normally seen as a monotonous task into a ritual act. 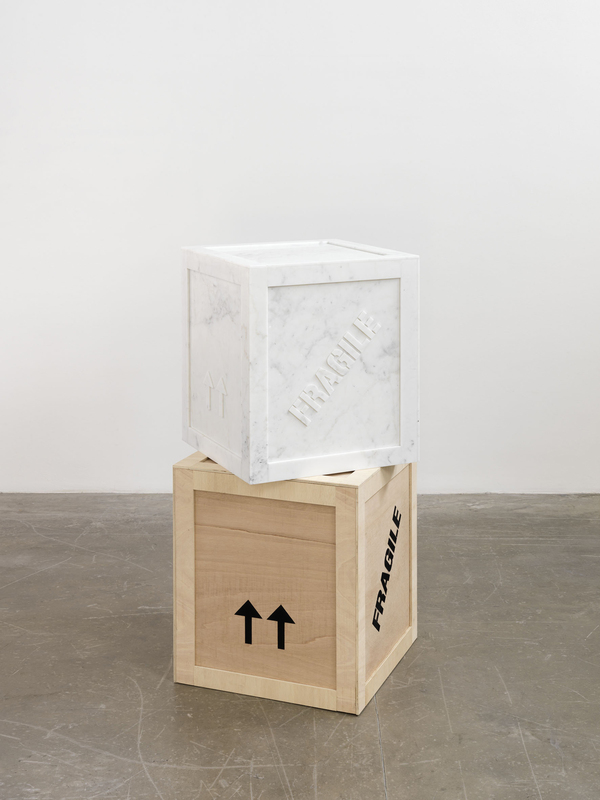 This early work is indicative of a frequent theme in Elmgreen & Dragset’s artistic practice: the “white cube” as the standardized format for presenting art and the complexity of the color white. 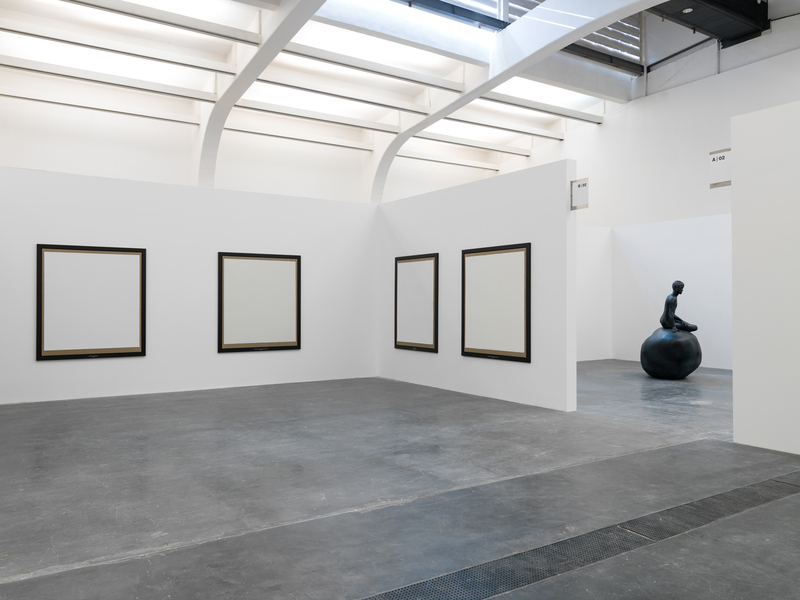 Playing with the notion of a typical, white-walled gallery, they have previously turned gallery spaces upside down, placed them underground, and suspended them from the ceiling; in The Well Fair the transformation of UCCA from museum to art fair becomes an artwork in itself, with the overall exhibition display functioning as a comprehensive art installation, a Gesamtkunstwerk. 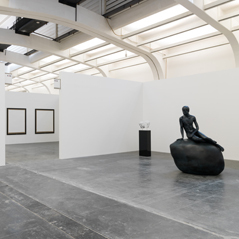 Elmgreen & Dragset employ the entire installation of The Well Fair to reflexively examine the physical and conceptual makeup of contemporary art fairs. 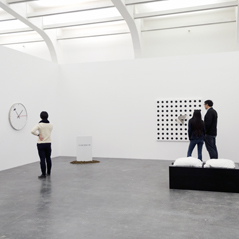 By mimicking the now commonly accepted grid layout of an art fair and utilizing this as the display format for the exhibition in the museum’s main hall, the artists also probe the ease with which behavioral patterns are adapted from one particular setting to the next. Visitors to the fair will navigate the space by passing from one aisle to another, discovering different scenarios in each booth and encountering museum personnel engaged to act as the fair’s staff. 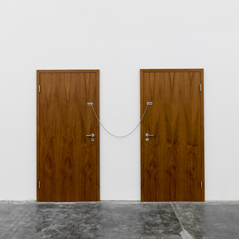 Elmgreen & Dragset displace the kinetic potential for commerce, situating the fair in a state of limbo without any clear indication of start or finish, and by filling the fair with only their own works, they eliminate the typical aspects of competitive valuation between artists. This fictional setting seeks to break down the social hierarchy usually present at commercial art fairs, with nothing actually for sale and a VIP lounge that remains inaccessible to all. 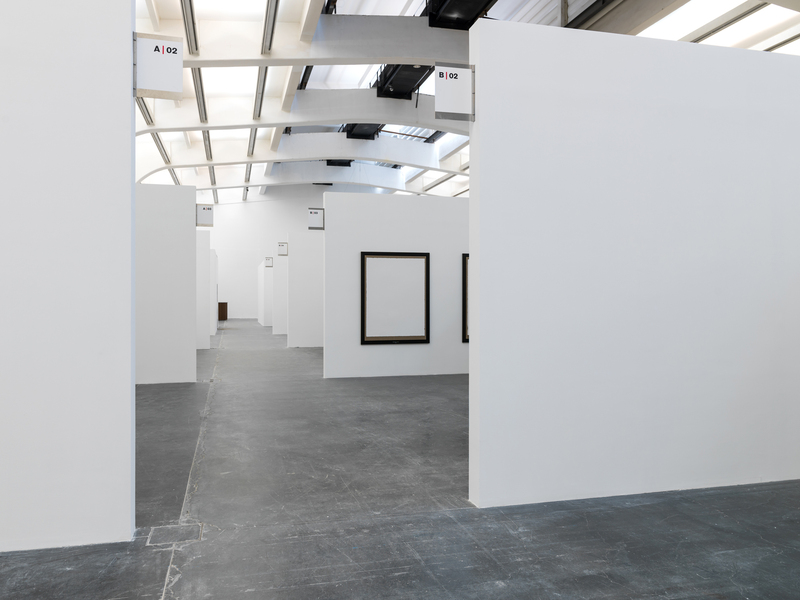 Issues of value and originality are perhaps most clearly addressed in two identical, adjacent booths in which every element on display is doubled, including all of the art pieces, the furniture and even the gallerists, performed by identical twins. 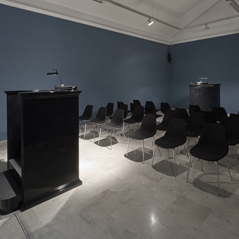 Expanding upon the doubled geometry, Secondary (2015), an auction room mirrored from the center with rows of chairs and one podium at each end, is installed in the center of the fair, accompanied by a cacophonous soundtrack of two auctioneers collecting bids. 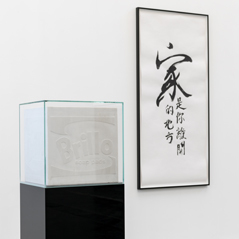 An intentional focus on the seemingly insignificant drives several works in the show and brings usually disregarded, yet common, art institutional elements to the foreground. 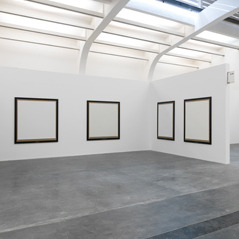 Works such as The Named Series (2012)—a series of monochrome paintings consisting of the actual white wall paint from prominent museums worldwide, carefully removed by professional conservators and applied onto canvasses—elevate the banal wall tones of museums like the Guggenheim, New Museum and Centre Pompidou to become works of art in themselves. Hung side by side, the works display the various textures and shades of white in the paint samples. 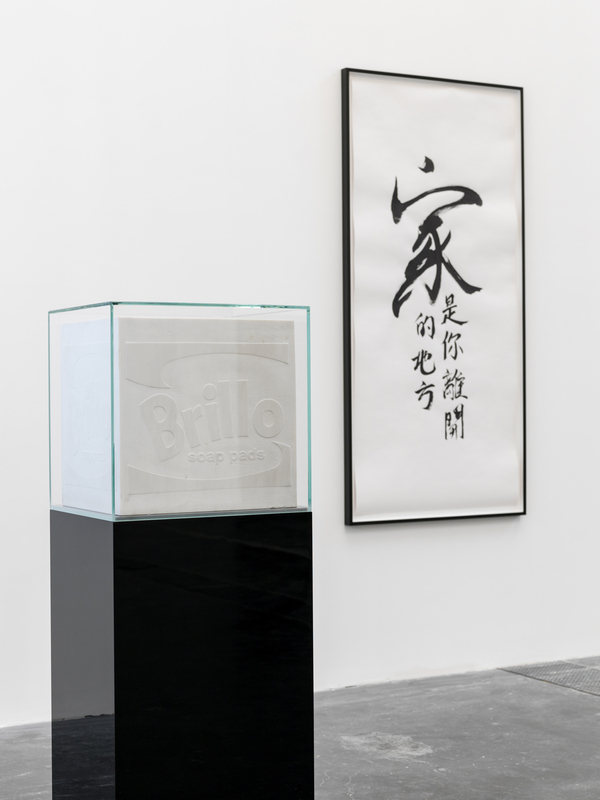 Revisiting this same theme, but with a shift away from institutional identity towards personal identity, the duo’s shared history is illustrated through the recent series Self-Portraits (2015), in which they appropriate wall labels of other artists’ works in classic materials such as paint on canvas or engraved marble, making the humble wall labels artworks in their own right. 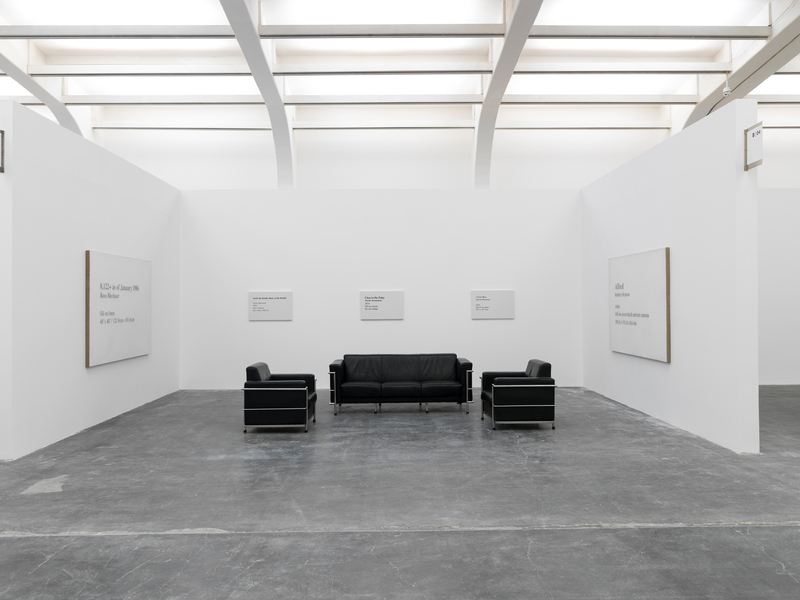 The titles of these labels reference important points in Elmgreen & Dragset’s own biography and the selected artists reveal the artist duo’s sources of inspiration. Personal and shared cultural identity and memory are further addressed in works such as The Black and White Diary (2009), part of the artists’ ongoing collection of printed snapshots which grant viewers a look into the duo’s professional and private lives. This extensive image archive was started in the mid-2000s before the current “selfie” craze. Framed in freestanding, small, leather frames placed on shelves, the hundreds of images constitute a sort of visual diary, mixing personal snapshots with images of urban landscapes and documentation of the process of exhibition installations. Identity is also an aspect of the recent series of works Side Effects (2015), which consists of hand blown glass vases filled with the pastel colored food pigments used to coat pills in the latest generation of HIV medicines, such as Truvada, Atripla, Stribild and Isentress. 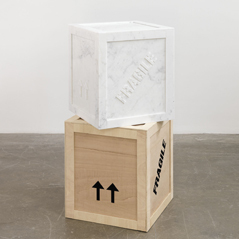 Side Effects can be seen in a historical context of works by artists such as Félix González-Torres, General Idea or Roni Horn, but it speaks about HIV in light of today’s possibilities for new, lifesaving treatments and comments on the pharmaceutical industry’s role in public health issues. 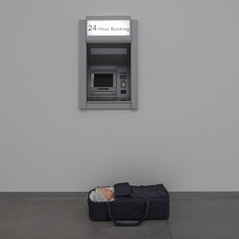 Figurative works such as One Day I’ll Grow Up (2015), a figure of a boy gazing at a rifle in a display case, The Wait (2013), a bored and lonely teenage boy perched on metal scaffolding, and Modern Moses (2006), a baby abandoned in front of a cash machine, use lifelike human figures to articulate issues of childhood, upbringing, and identity. 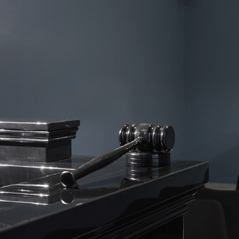 Other works deal with a sense of absence and exclusion. The fair’s inaccessible VIP lounge embodies what the artists categorize as a denial—a work that seems to invite the viewer to participate in some way, but in fact does not allow any interaction to take place, due to its dysfunctional character. 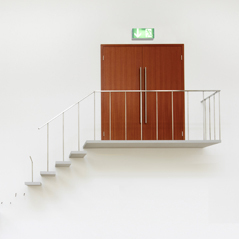 The artists morph the designs of other typical art fair features, such as the bar, the exit door, and the bathrooms. 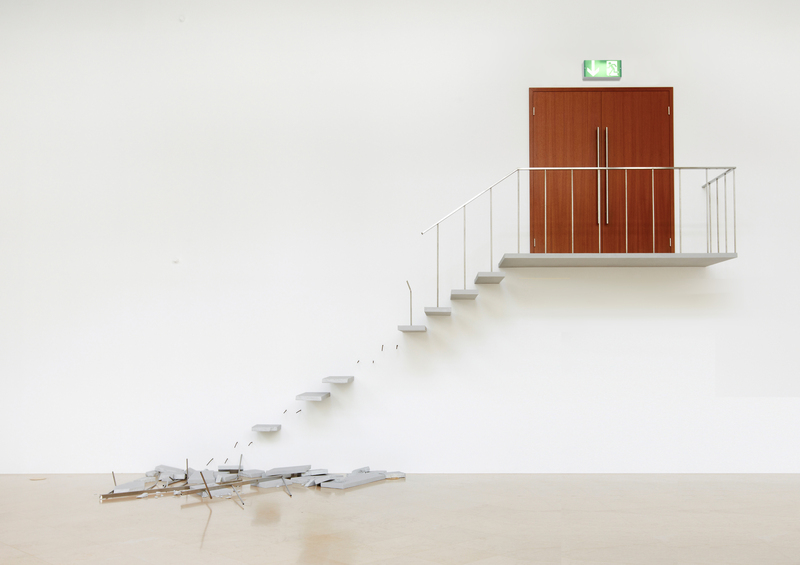 Inverted Bar (2014), a circular bar counter, has its beer taps pointing towards the outside whereas the stools are trapped on the inside, and in Emergency Exit (2015), a collapsed set of stairs leads to an exit door that no one will ever be able to reach. In Marriage (2004), two bathroom sinks are connected by a mutual, long, and winding steel drain pipe. 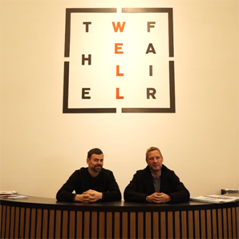 The title The Well Fair recalls The Welfare Show, Elmgreen & Dragset’s solo exhibition shown in Bergen Kunsthall, Norway (2005), BAWAG Foundation, Vienna (2005), Serpentine Gallery, London (2006), and The Power Plant, Toronto (2006). 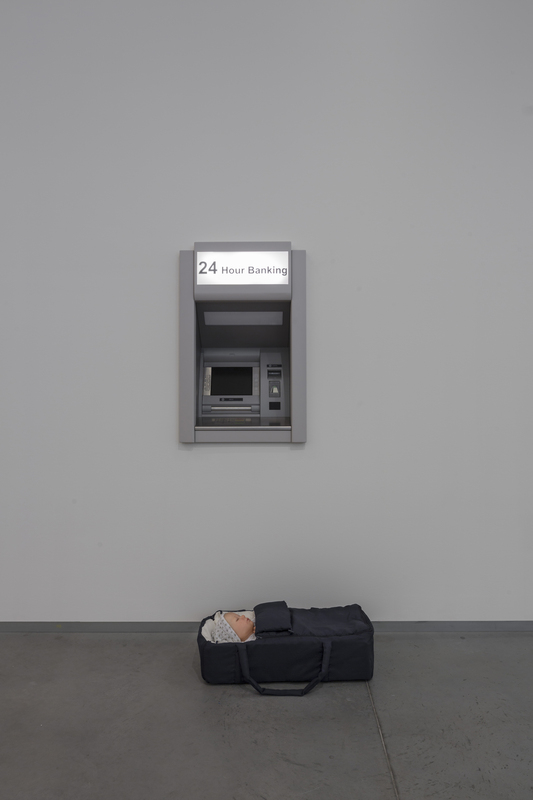 The Welfare Show consisted of a labyrinth of institutional corridors, waiting rooms and administrative spaces, including a hospital ward and an airport baggage claim, altogether showing a fractured image of the European welfare state. 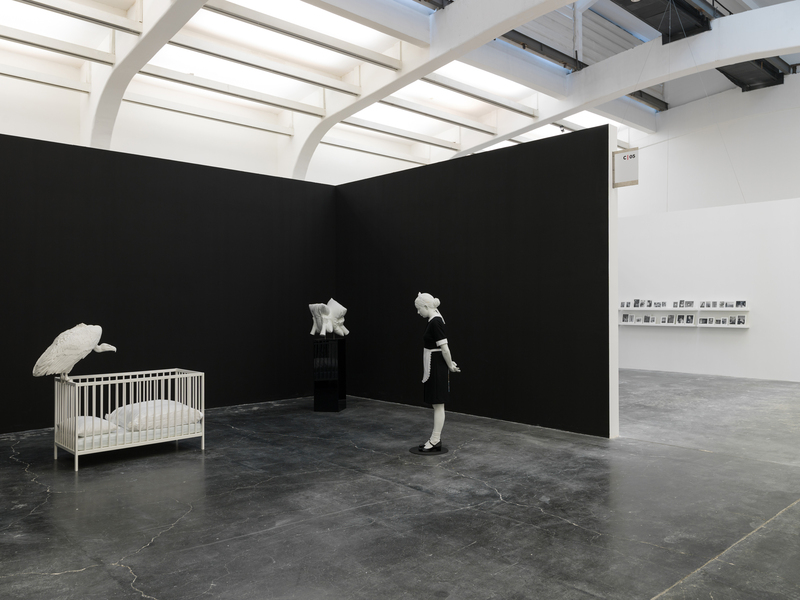 Like in many of Elmgreen & Dragset’s past exhibitions, there is a narrative thread woven throughout The Well Fair, an associative story arising from the dialogue between the singular pieces and their staging. 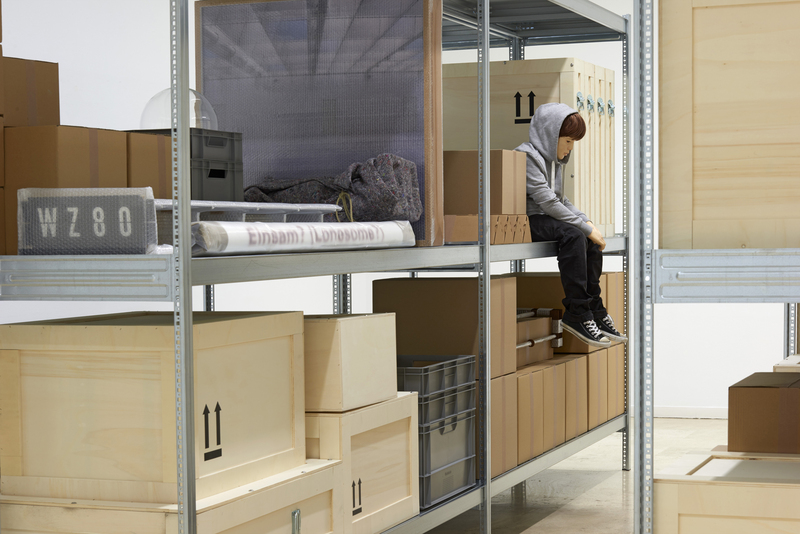 The Well Fair continues Elmgreen & Dragset’s ongoing investigation of structural displacement by merging one familiar space with another. 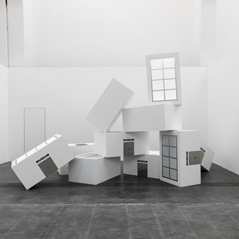 These meticulously tailored architectural installations combine site specific works in a dialogue with existing works, re-contextualized in new settings. With Please, keep quiet! (2003), the artists previously turned an exhibition room at the National Gallery of Denmark in Copenhagen into a sterile hospital ward that is now part of the museum’s permanent collection, and with End Station (2005), they transformed the architecture of New York’s Bohen Foundation into a typical New York City subway station from the 1980s. 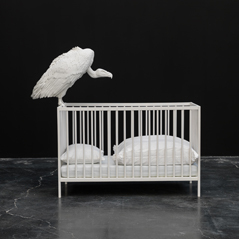 In 2009 they redesigned the Danish and Norwegian pavilions at the 53rd Venice Biennale as the neighboring homes of two art collectors with their acclaimed exhibition The Collectors. 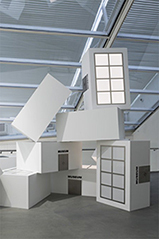 Previous museum shows have taken the form of a failed architect’s apartment (Tomorrow at Victoria and Albert Museum, London, 2013) and a Deleuze-inspired airport terminal (Aéroport Mille Plateaux at PLATEAU, Samsung Museum of Art, Seoul, 2015). 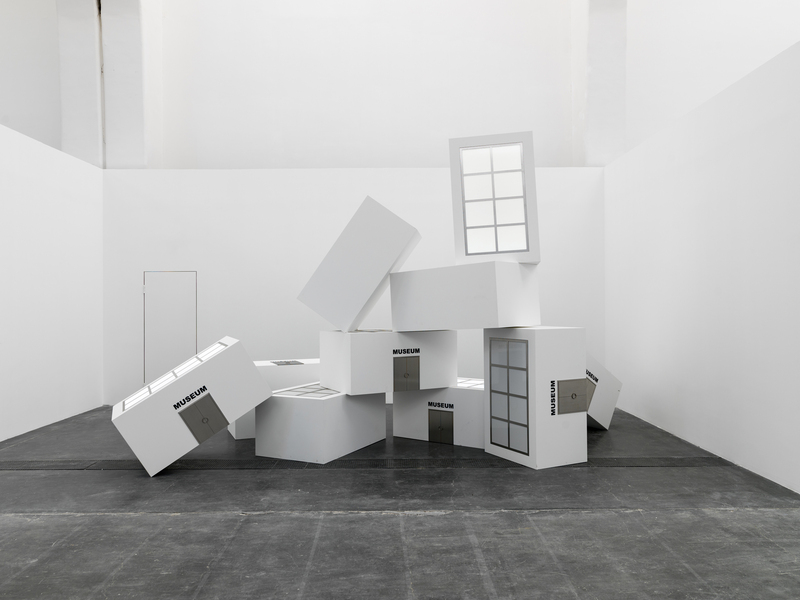 At UCCA, the intentional disarray of finished pieces inside inherently temporary “booths” evokes the process of a rehearsal and undermines the idea of the sublime. 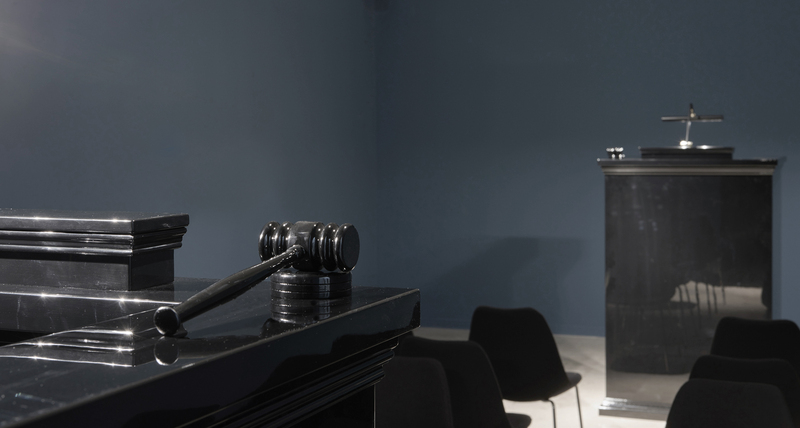 By constructing an art fair inside a museum, Elmgreen & Dragset investigate the desires that lie beneath the global urge to consume contemporary art and the spatial settings that define this part of the art market. 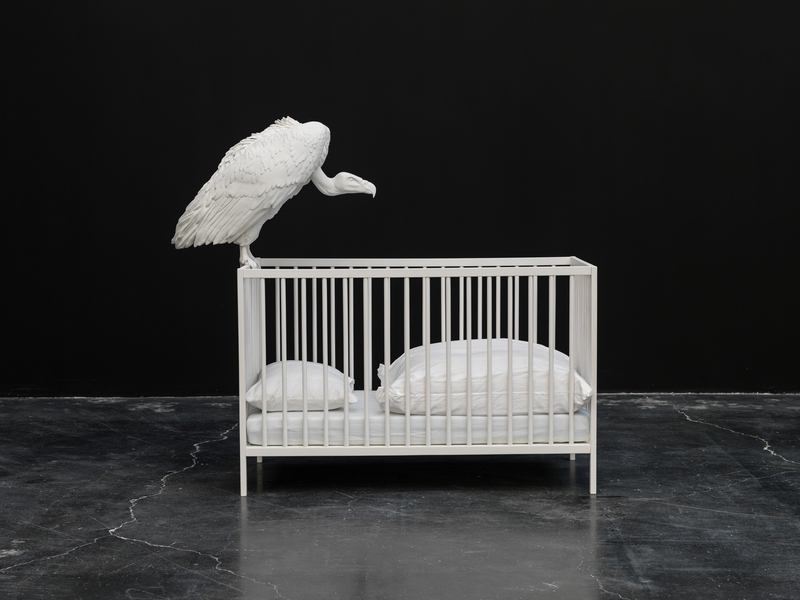 Download “Elmgreen & Dragset: The Well Fair” press release. Download “THE WELL FAIR DAILY”. 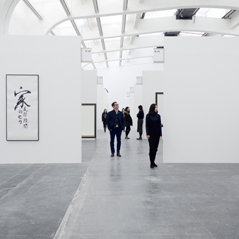 Elmgreen & Dragset’s The Well Fair is organized by UCCA director Philip Tinari with assistant curator Lotus Zhang. 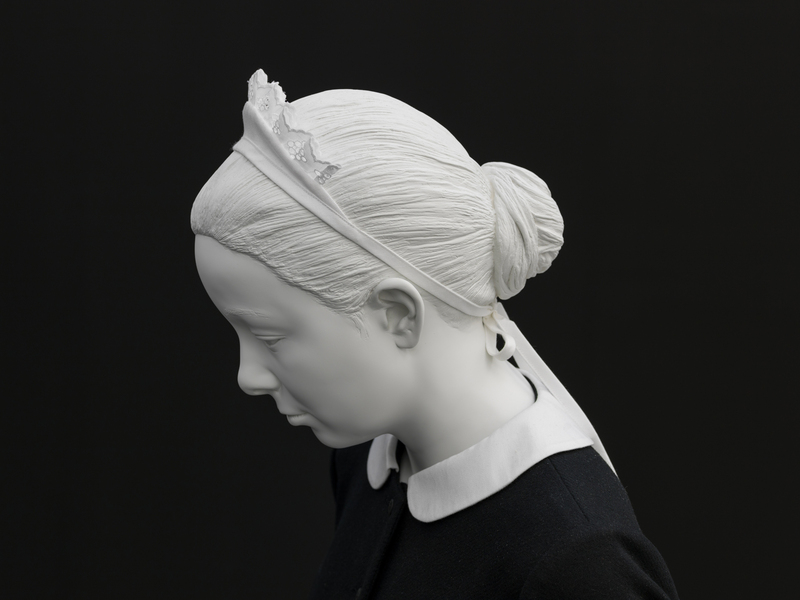 The exhibition is supported by GALERIE PERROTIN, Victoria Miro, London, Danish Arts Foundation, and Fritt Ord. 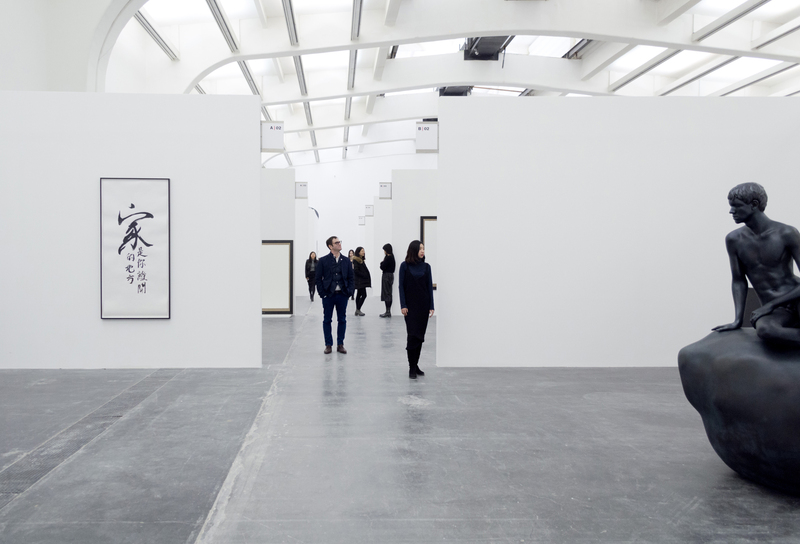 The Art Newspaper China is the official media partner. Artsy is the online partner. The Well Fair is available on Artsy from 23 January, 2016. 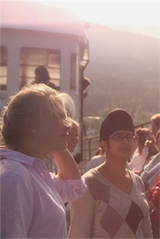 Sign up to receive notification. The Well Fair is accompanied by a bilingual catalogue of the same title with essays addressing the cultural, sociological, psychological, and historical forces that have contributed to the development of art fairs as well as their future. 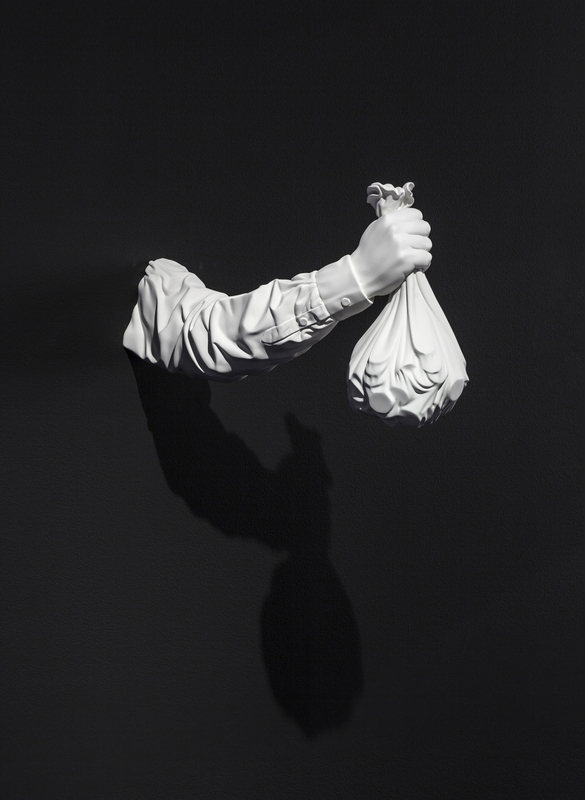 Contributors to the catalogue include Frieze Co-Founder Matthew Slotover, ARCOmadrid Director Carlos Urroz, cultural sociologist Roberta Sassatelli (University of Milan), psychology and marketing specialist George E. Newman (Yale University), Chair of Art History at the University of Chicago Christine Mehring, and award-winning art critic Stefan Kobel. With an introduction by UCCA Director Philip Tinari, the catalogue also contains an interview with the artists and a dialogue in the form of a WhatsApp conversation between Art Basel Directors Marc Spiegler, Noah Horowitz, and Adeline Ooi, moderated by Tinari. 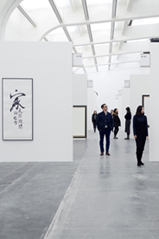 The exhibition is also accompanied by a suite of tailored public programs including conversations about the history of art fairs, contemporary art collection, the secondary market and art auctions, and new trends in art online. 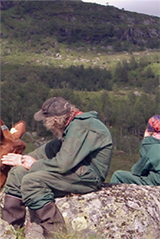 UCCA also presents a series of Norwegian film screenings that include the artists’ own work Drama Queens. 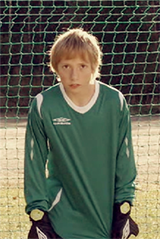 Michael Elmgreen (b. 1961, Copenhagen, Denmark) and Ingar Dragset (b. 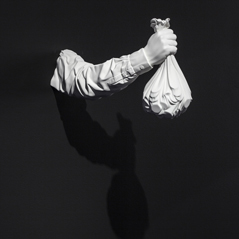 1969, Trondheim, Norway) are based in Berlin and have worked together as an artist duo since 1995. 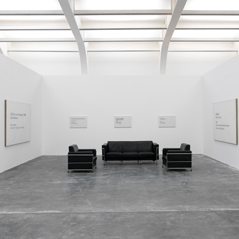 They have held numerous solo exhibitions in art institutions worldwide, including PLATEAU, Samsung Museum of Art, Seoul (2015); Statens Museum for Kunst, Copenhagen (2014); Astrup Fearnley Museet, Oslo (2014); Victoria and Albert Museum, London (2013); Museum Boijmans Van Beuningen, Rotterdam (2011); ZKM Museum of Modern Art, Karlsruhe (2010); Museo de Arte Contemporáneo de Castilla y León (2009); The Power Plant, Toronto (2006); Serpentine Gallery, London (2006); Tate Modern, London (2004); and Kunsthalle Zürich (2001). 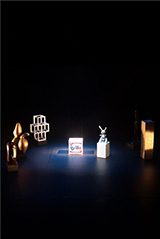 Their work has been included in the Liverpool (2012), Singapore (2011), Moscow (2011, 2007), Gwangju (2002), São Paulo (2002), Istanbul (2013, 2001), and Berlin (1998) biennials, and in 2009 they received a special mention for their exhibition “The Collectors” in the Nordic and Danish Pavilions at the 53rd Venice Biennale. 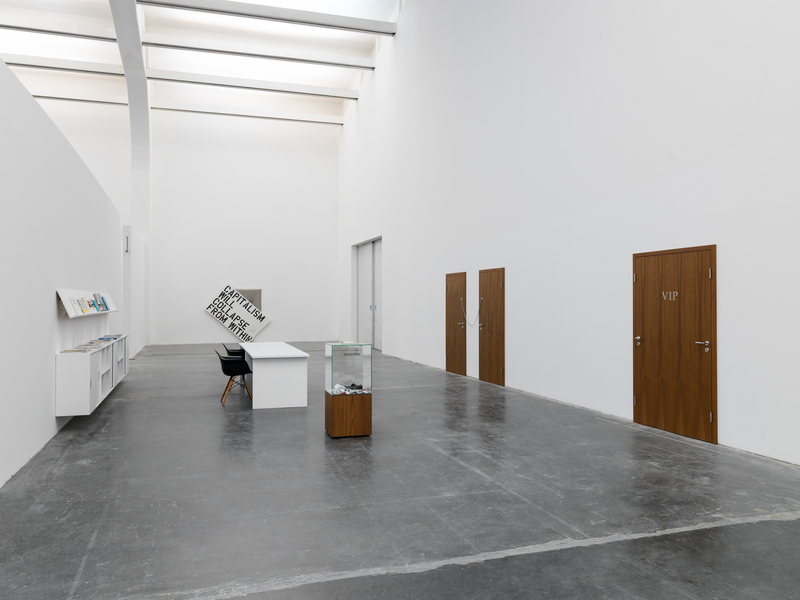 Amongst their most well known works are Prada Marfa (2005)—a full scale replica of a Prada boutique in the middle of the Texan desert—and Short Cut (2003)—a car and a caravan breaking through the ground, which was first shown in Milan and now resides in the collection of the Museum of Contemporary Art, Chicago. 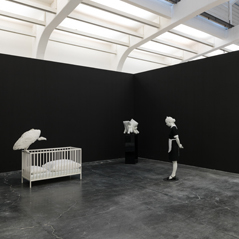 The artists were shortlisted for the Hugo Boss Prize, Guggenheim Museum, New York (2000) and won the Preis der Nationalgalerie, Hamburger Bahnhof, Berlin (2002). 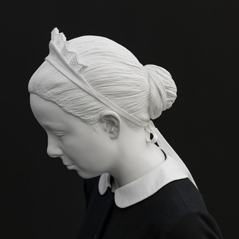 In 2012 Elmgreen & Dragset were selected for London’s Fourth Plinth Commission in Trafalgar Square.